A competitive electric motorcycle? Tesla has done it on the road and now ALTA is doing it in the off road motorcycle world. In the american technology capital San Francisco in the neighborhood of Apple, Google and Tesla the electric motorcycle manufacture ALTA is working on the future of motorcycling. 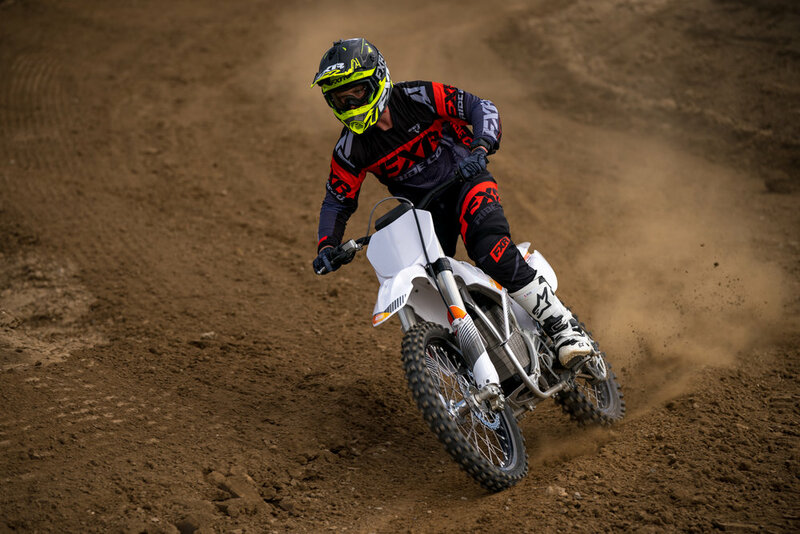 Since 2009 the crew at ALTA has worked on prototypes of a electric Motocross bike. After many years of development they started testing in public with the help of different professional riders about two years ago. 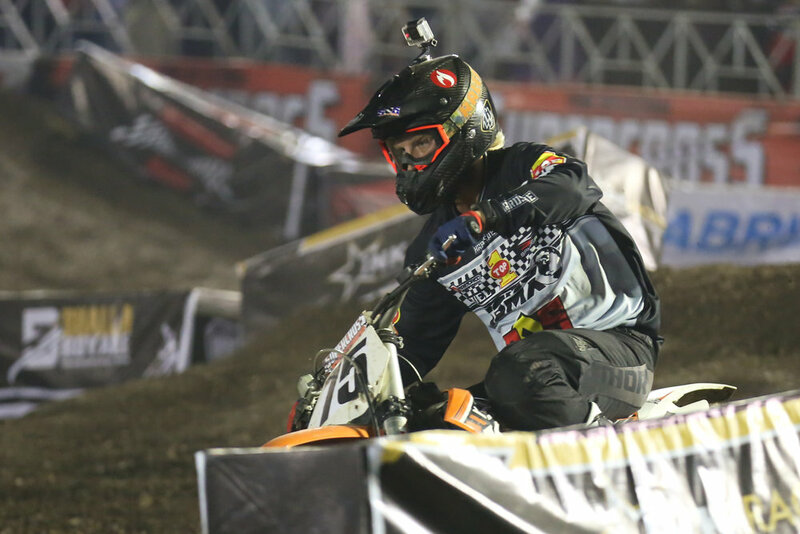 Last year ALTA hired former professional Supercross racer Josh Hill to race the bike at the Red Bull Straight Rythm event. Hill beat factory Suzuki rider Kyle Cunningham over the course of three heats and advanced to the next round showing the world that an electric motorcycle is more than capable of competing with the gas powered competition. A lot of questions still remaind. How would a production electric bike fair out on the track. How fast does it go and would the chassis be up to par with what we are used to? Not only did ALTA decide to push the electric engine they also build their own chassis from the ground up which is a big challenge in it self. 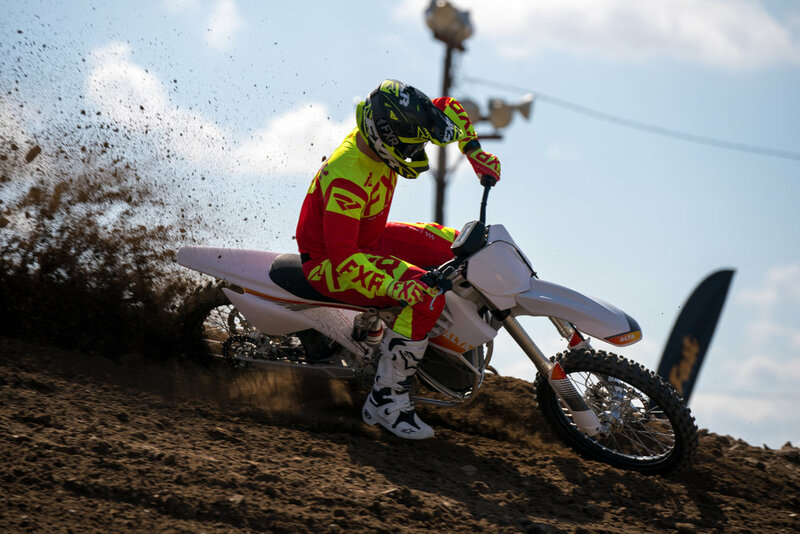 I travelled to Perris Raceway in California USA to find out what the ALTA is all about and if this is really the bike of the future. Looking at the new ALTA MXR you fell like you made a trip into the future. The design is nothing that is currently on the market. I didn't know what to expect and was eager to get out on the track. It took me only a couple of laps and I felt right at home on the bike. The electric engine is really responsive and ALTA spend a long time developing a power delivery that would make it feel like your normal gas bike. The chassis feels really balanced and handles really well. The MXR feels like a race bike with a agressive set up that sits a little lower in the rear than your ordinary OEM dirt bike. As racers we spend a lot of time and money to set our bikes up lower in the rear to achieve better handling so it was nice to see a manufacture adopt that from the get go. The WP AER forks and WP shock come with a setting developed for the bike and give you a lot of options to fine tune the bike to your liking. I was suprised with how easy it was to adopt to the bike. The MXR comes with four different mappings that make it change the power delivery signifantly. Map 1 ECO: A traction map that offers the best range profile. Also a great mao for just starting out. Map 3 PERFORMANCE: Similar traits as the sport map but with more bottom end and traction. It also makes a great starting gate map. Map 4 OVERCLOCKED: Maximum torque and power are available without restriction – if you have the skill to control it. Thermal limiting will protect the machine if you push too hard. Not having a a clutch or a shift lever was suprisingly easy to get used to. Instead of focusing on my shifting points and controlling the bike with the clutch I could just focus on my riding technique and my line choices which made for a very enjoyable riding experience. A big point of discussion is the weight of the bike. With 259 lbs it comes in on the heavy side but and this is a big BUT out on the track you don't feel the weight. With out the rotating mass of a normal combustion engine the bike feels light and nimble and really easy to handle. The big question when it comes to electric bikes is the battery life. How long can I ride until I'm out of juice. With the ALTA that really depends on the surface you ride on and how hard you ride. A professional racer gets somewhere around 40 minutes out of the battery on a hard pack track in map 4. Your average rider gets 90 minutes or more of riding time. With Indian tracks being hard pack for the most part you can expect to get around 90 minutes or more of riding time out of your bike. The Supermoto and Dual Sport version of the bike comes with different mappings which give the bike around 4 hours of battery life. ALTA's new charging system enables you to fully recharge your battery with in 90 minutes. Four hours of riding time in the city or off road is a good amount with a quick recharge time. Indian riders will enjoy the torque of the bike especially on the plated Supermoto version. With a lot of stop and go traffic you will be able to out accelerate everybody. ALTA's marketing slogan is "The Future of Fast" and after riding the bike I have to agree. As a professional racer I've ridden a lot of different bikes over the years and I would consider the ALTA one of the best bikes I have ever ridding. I haven't had that much fun riding a dirt bike in a long time. The handling, power delivery and easy to control charateristic of the bike will gurantee a great riding experience for everybody. I recently came across an interview I did with Davey Coombs and Racer X two years ago. Davey did a really good job summarizing what I'm doing and it gives everybody a little bit of inside and understanding on how some of these overseas adventures work. Here is the link. Enjoy the read. To finish of the 2017 season I accepted and invitation to race a Supercross in India. I've tried to go to India and race for years but the timing never worked out so I was glad that I could finally make it. My good friend Dennis Stapleton organized all International riders for this event so I knew it was going to be a fun time. Dennis and I have been friends for a while now. I met him back in 2011 at a race in the Philippines and after that we crossed paths all across the world from Kuwait to Europe and now we are both in southern California racing and running our Motocross related businesses. Along with us came Brian Medeiros and Justin Muscutt two professional privateers that just finished the AMA Nationals. After almost two full days of travel with a quick layover in my old home country of Germany we finally arrived in Pune. Day one was all about setting up bikes and checking out the track. One of the most adventurous things about fly away races are always the bikes you are racing on. In India we were handed 350 KTM's that had a couple years on them. After some minor problems on the first day we all had our bikes figured out and were ready to race. The event consisted of three nights of racing with two main events a night. The track was hand made by local workers and turned out to be a lot of fun. I was impressed with the entire set up. Over the last couple of years I have done a lot of events like this one in all kinds of different countries but non of them had a professional set up like this one. The races were fun, all of us international riders treated it as a fun weekend away and didn't get too aggressive with each other. After three nights it was Kerim Fitzgerald from South Africa who won the overall. Brian Medeiros had a bit of bad luck on the last night breaking his finger after he went down early in the first main event. Other than that all of us made it out healthy and happy. I hope I will be able to see a lot more of India in the near future the country has a huge motorcycle market and a lot of potential for a motorcycle enthusiast like myself. At the beginning of last year I got an awesome opportunity to travel to Vietnam. I was in Cambodia to organize a Motocross training for Top 1 Oil and the decision was made to extend my trip with a weekend in Hanoi. Vietnam doesn't have any Motocross tracks but a lot of Enduro riders so we decided to focus on Enduro riding while we were there. I had been to Cambodia before and it was really hot and humid and after a short look at the weather app seeing 90 degree temperatures I decided to pack for a hot weather trip. Upon arrival in Vietnam I came to find out that even though the two countries are neighbours the weather can be very different. Temperatures in the low 30s welcomed us and I realized that only bringing shorts and one sweatshirt wasn't the smartest move I've made in my years of travelling around the world. After a quick trip to the mall to get some warmer clothes it was time to explore Hanoi and see what the city had to offer. 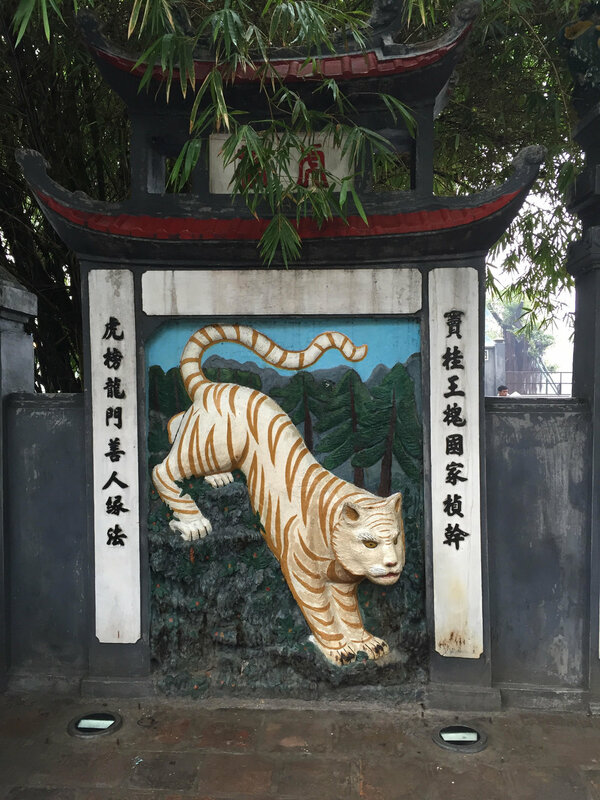 The history and architecture of Hanoi were amazing. We tried some of the local food and had one too many coffee's trying to stay warm. Day two meant it was time to go riding. A lot of rain over night and in the morning weren't a great base for a day of Enduro riding in freezing temperatures. We met the vietnamese Top 1 distributor at the hotel and drove an hour out of the city to the banks of the red river. We had a great view of the city with the Cau Ving Tuy bridge in the background and a lot of sand, rocks and mud to work with. I was provided a Yamaha WR 450 which was perfect for the terrain. Shortly after the riders started trickling in and we were ready to go. 25 riders showed up and were ready to fight the wet and cold weather to learn how to ride their Enduro bikes better. Throughout the day we covered all kinds of riding techniques and little tricks to make it easier for them to navigate the challenging terrain. A nice lunch grilled over a open charcoil fire rounded up one of the best Enduro days I've ever had. Everyone that came out improved their riding tremendously and left with a big smile. It was a surreal feeling riding on the banks of the red river and realizing that 40 years ago this was the side of heavy bombings during the Vietnam war. It put in perspective how lucky I was to travell to so many different places in the world to enjoy riding motorcycles in peace. The riding scene in Vietnam is growing every year amd even though it is hard to find terrain to set up a track or a trail system because of government regulations the enthusiasm of the local riders is at an all time high. If you are intrerested in travelling I recommend putting Vietnam on the top of your list of places to see in Asia. I'm looking forward to going back and seeing more corners of this beatiful country. We recently started our YouTube account. The goal is to provide you guys with video content from our events, trips and training techniques. We will feature How To videos on riding technique, bike service as well as work instructions for you to do at home or in the gym. Our YouTube channel will also feature a VLOG that follows Daniel around the world so you get a look behind the scenes of his camps and events from San Diego, California to Pune, India. Make sure you check it out and subscribe while we are working to fill our channel with more and more cool content. This past Sunday we organized a kids Motocross camp in Rosarito Mexico. We've organized big bike classes in Mexico before but it was our first time working with young riders south of the border. Upon arrival we found a nice hard pack track in the rolling hills of Baja. It reminded me of a practice track in Italy or France. We had a good turn out of local kids which was good to see. Most of them have never had any formal training so we took our time to explain all the little details before we hit the track. Throughout the day everyone improved not just their speed but more importantly their riding skills and their safety. At the end of the day we had a lot of smiling faces and happy riders. It was great to see so many kids being eager to learn and improve their riding. Baja Mexico is not a Motocross hot bed but with the amount of kids riding and training down there the future is looking bright. I put together a VLOG to give you guys a little inside in what a SOS day camp looks like. Travelling overseas always requires a lot of planning and packing even more so if you are planning to ride or race overseas. I’m getting ready to head to India to race the Pune Invitational Supercross there next week and I’m giving you a little inside on what it takes to get there. Luggage: I’m a big fan of Ogio bags. I’ve been using Ogio products for many years now and I’m very happy with the durability and space they offer. I’m only going to India for one week with a total of four days of riding so I decided to pack light and only travel with one checked bag. Four days of riding requires four sets of gear (jersey,pants,gloves,goggles) a set of boots, knee braces, chest protector and a helmet. I use my gear bag for all my riding gear. I protect my helmet by putting it in an extra helmet bag to make sure it gets to my final destination in one piece. I also pack my jersey in that helmet bag to give it some extra padding and also to save some room for the rest of my stuff. I also bring a couple tools to make sure I’m able to set my bike up once I get there. A set of T-Handles, a couple wrenches and a small screw driver are always coming with me. The top pocket of my gear bag is for snacks. Travelling to far away places and not knowing what you will eat can make a race weekend very long and difficult. I learned this the hard way when I first started travelling 10 years ago so nowadays I always pack energy bars, a bag of trail mix and a couple small protein snacks to give me some energy in case the local cuisine only serves crickets and fried lizard (It happened before). Lastly I always bring a couple posters and stickers from my great sponsors. For this trip to India Top 1 Synthetics hooked me up with some really cool key rings that I will be handing out over the race weekend. My carry on luggage has all my casual clothing, underwear, deodorant and a tooth brush. It’s always nice to have your every day clothes with you when you land. There is nothing worse than finding out that your luggage didn’t make it after you’ve been travelling for 24 plus hours so it is good to know you will have some clothes to wear when you get to the hotel. My backpack carries my laptop, my camera, phone chargers, my note pad and a sweatshirt in case it gets cold on the flight. That’s it. That is my packing list for next weekends race in India. I’m excited to go see a new country that I haven’t been to yet and I’m looking forward to meet many new Motocross enthusiasts over there.